Two Irishmen and a Brooklyn design firm walk into a bar … and the punch line may just be Manhattan’s next great watering hole. 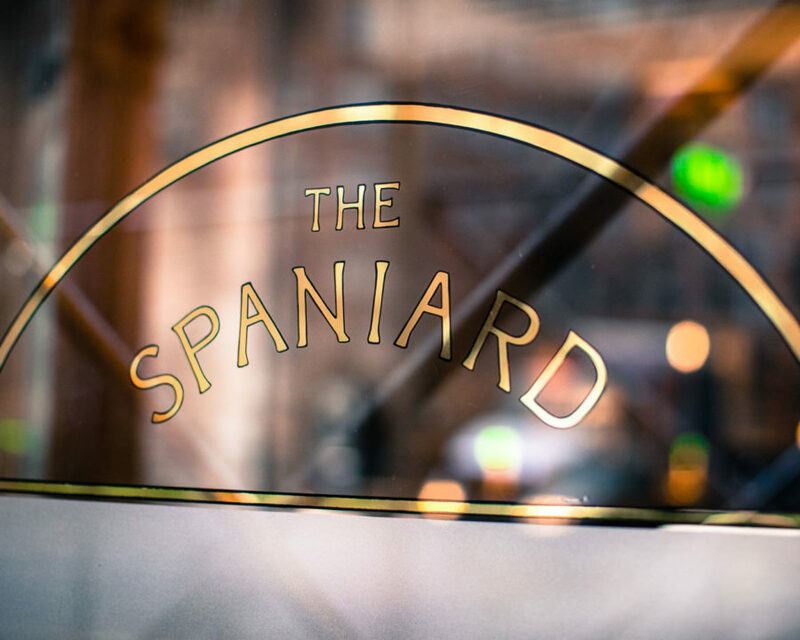 “You see it the moment you walk inside, what kind of place this is,” says Mark Gibson, one half of the Ireland-born duo behind The Spaniard. 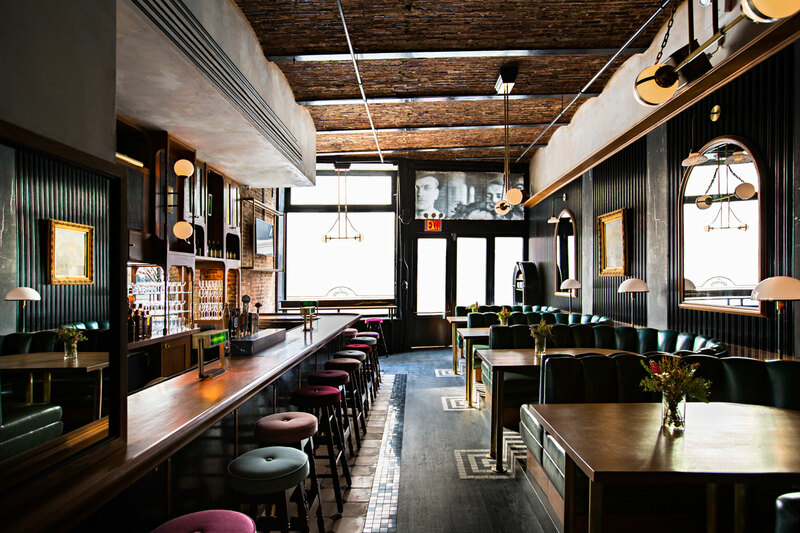 With the help of Home Studios, the new venture from Gibson, who gained a following after opening nearby Wilfie & Nell and Bua, and his cousin Mikey McFerran, is best described as part classic New York tavern, part Irish pub. From there, Home Studios’s approach was twofold. First, to embrace the history of the space itself, a landmark late-1800s building previously occupied by Oliver’s City Tavern. “We wanted to keep as much of the original architectural elements as we could,” senior designer Danielle Epstein says. That meant the brick-and-steel, barrel-vaulted ceiling stayed. Beyond that, it was all about reinterpreting traditional materials, many of which were reclaimed: green Vitrolite glass lamps, French Cozar floor tile, and an early-20th-century Hoosier cabinet reborn as a waiter’s station. Mixed in are the firm’s built-from-scratch pieces, including the showstopping rift-cut oak bar, lined with dark wood stools from northern Ireland which are topped with typical mix-and-match upholstery found in pubs across the pond, reimagined here as rich velvet in shades of purple, mauve, and pink. Custom old-school letter boards advertise the menu, anchored by more than 100 types of whiskey and riffs on steakhouse favorites such as beef tartare and oysters Rockefeller. (Not to mention Nobu vet P. J. Calapa’s house-made steak sauce and pickled onion brine, used in the Gibbo cocktail.) Whiskey is the base ingredient for many of the drinks, such as the Rosemary Manhattan and the Rye Tai, a rendition of the tiki classic. The same menu is served in the snug, a tucked-away back room common in Ireland. “It’s a little place within a bar to get away, with a different atmosphere altogether,” Gibson says. The area is outfitted with emerald green banquettes, vintage Belgium dining chairs wrapped in plush velvet, and a forest landscape mural by artist Jeremy Miranda.